Widely recognized as one of the world’s leading classical saxophonists, Kenneth Tse is one of the instrument’s outstanding proponents on any saxophone aficionado’s short list. He burst on the scene in 1996 as the winner of the prestigious New York Artists International Award, which resulted in an acclaimed debut recital at Carnegie Hall. The Alex Award from the National Alliance for Excellence led to another Carnegie Hall performance. He has been a frequent soloist on five continents, including solo appearances with the Des Moines Symphony, United States Navy Band, Slovenia Army Band, La Armónica Band of Bunol, Spain, Thailand Philharmonic Orchestra and Hong Kong Sinfonietta, among others. He is a frequent featured artist at events such as the World Saxophone Congress and North American Saxophone Alliance conferences. He has also been a guest clinician at conferences hosted by the California Band Directors‘ Association, Iowa Bandmaster’s Association, and the Midwest International Band and Orchestra Clinics. Prestigious universities and conservatories worldwide, such as Moscow Conservatory and Paris Conservatory, have invited him to give master classes. Tse has been an active recording artist since his first CD for Crystal Records at age 23. His critically acclaimed discography now includes a total of six CDs on Crystal, as well as six other releases on RIAX Records, Enharmonic Records, Arizona University Recordings and MSR Classics. As an advocate for new music, Tse has had more than thirty works dedicated to him by notable American composers such as David DeBoor Canfield, John Cheetham, Andrea Clearfield, David Froom, Perry Goldstein, Greg Fritze, Walter Hartley, as well as Luis Serrano Alarcón of Spain, Guy Lacour of France, Barry Cockcroft of Australia and Piet Swerts of Belgium. Tse has recorded and premiered many of these concertos, sonatas, solo works and chamber pieces. His arrangements for the saxophone are published by Reed Music, Australia, and his articles and interviews have been featured in the Saxophone Journal, The Instrumentalist, Fanfare Magazine, Saxophone Symposium, Iowa Bandmaster Association Journal, Japan’s Piper and The Sax magazines and Yamaha Education Series. Tse has received numerous awards and grants including the prestigious Hong Kong Jockey Club scholarship, New York Music Performance Trust Fund, Indiana University Marcel Mule Scholarship, University of Iowa CD Subvention Fund, Arts and Humanities Initiative Grant, Barlow Commission Fund, as well as an honorary life membership from the Contemporary Record Society. Tse’s students have also garnered high recognition through competitions and recordings, as well as concert appearances. In 2009, desiring to give back to his home city of Hong Kong, Tse created the first Hong Kong International Saxophone Symposium. In addition to Tse, Eugene Rousseau from the University of Minnesota and Claude Delange from Paris Conservatory served as faculty members. With the tremendous success of the premiere event, Tse formed the Hong Kong International Saxophone Society in an effort to facilitate more interest in saxophone performance, as well as to continue hosting the symposium every two years. 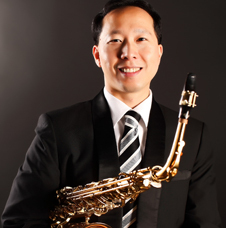 Tse is Professor of Saxophone at University of Iowa, President-Elect of the North American Saxophone Alliance and Vice-President of the International Saxophone Committee. He holds degrees from the University of Illinois, Champaign – Urbana (D.M.A. ), Indiana University (B.M., M.M. and Artist Diploma) and Hong Kong Academy for Performing Arts. He was the first saxophonist to receive the prestigious Artist Diploma from the Indiana University School of Music.